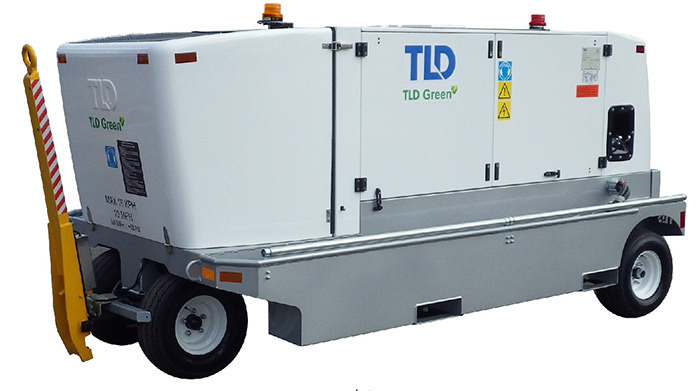 The TLD GPU-4140-E-CUP 400 Hz Ground Power Unit features a brushless revolving field generator, rubber torsion axle-mounted chassis of rugged galvanized steel construction with fifth wheel steering and powder-coated sheet metal panels. The unit meets U.S. and EURO emission standards. The GPU-4140-E-CUP is available with an optional 28.5 volts DC power output package, part number GPU-4140-E-CUP-28. The 28V option creates outputs for a 140 kVA 400 Hz AC and 28V DC combination aircraft ground power supply. Compares to Hobart 140D220P5, 140CU20P5, 140CU20, 140CU24, 140DZ20, 140DT24 140 kVA 400 Hz AC Diesel Ground Power Units, part numbers 500051, 500141, 500391. Also compares to Jetall JTL140D, Houchin C690-140, Tug Technologies/Davco GP400-140. Transformer rectifier: 28.5 VDC with current limiting - 1000 amps continuous, 2500 amps peak. 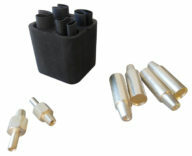 Can be field installed.